According to JOC.com, SeaIntel Maritime Analysis recently reported, that the trans-Atlantic vessel reliability hit a three-year low. This figure represents the performance on the trans-Atlantic service level for April 2015 only. Based on the shipments monitored over the last twelve months, arviem’s performance analysis concludes on a similar figure. The percentage of vessels, which have arrived within one day of their scheduled calls, is at 60 percent (shipments monitored globally and not only trans-Atlantic shipments). If the most capital-intensive service providers in logistics can’t sail in time, it is probably safe to say, that the other service providers are even worse, which has ripple effects on the end-to-end supply chain schedule reliability. 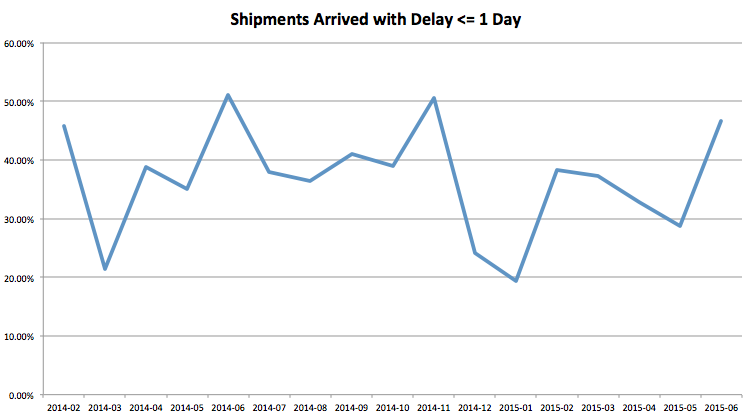 arviem’s analysis show, that only 37 percent of all shipments arrived “on time” (delay of 1 day or less). That means, that 63 percent of all door-to-door shipments showed a major delay, which in average sums up to 5 days. This is one of the reasons, why arviem’s clients show more and more interest in the performance analysis of their shipments on different routes and in getting better results for the estimated time of arrival of their shipments. The ETA, which has become increasingly important for planning tight international supply chains, depends to a bigger part on the vessel-schedule and door-to-door reliability. · For trade financing one of the milestones in the payment schedule is the arrival of the container in the port of discharge. The opportunity-cost for not getting the financing on time is at around 8 US$ for every day of delay. · The earlier the cargo gets to the client, the earlier the invoice can be sent and the earlier the cash is in. Every day the cash comes in later is an opportunity cost of 15 US$ per day of delay. 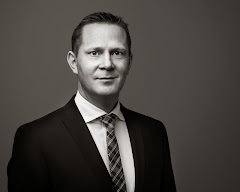 · Cargo in transit needs to be financed, meaning it generates capital cost. Every day of delay is an additional 10 US$ bill virtually taken out of the CFO’s pocket. Thanks to real-time cargo and supply-chain monitoring, such delays could be proactively addressed and managed. Each of the above example shows, that savings of 50 US$ and more per shipment could be achieved. Let alone the savings on product integrity, insurance, administrative activities, and many more. What about your experience in schedule reliability? Can you support the average delay of 5 days on a door-to-door shipment? What actions do you take to prevent delays on your shipments?